The West Harbour Project........"A Vision For The Future"
The Whitestar Group is enthused about the Pan Am Games and the vision to restore our beautiful West Harbour Front. This blog is intended to show the many shared and complimentary visions our Group has with The City, our Investors and our community. Our goal is to help implement a strategic, economical and community building plan that benefits all parties, leaving behind a legacy for future generations. We are the White Star Group: a Real-estate, Building and Design Development Group of Companies based in Hamilton Ontario. Over the last fifteen years we have been assembling land in the West Harbour area with plans to develop in accordance with the visions set forth in the 1995 Official West Harbour Plan Study. In 2005, we were encouraged by the passing of the offical secondary plan which outlined in visionary terms the development of the west harbor as a viable vibrant environmentally sensitive community area. We have been witness to the harbour’s transformation. We imagined as many have done the lasting legacy of such a development and were inspired to participate in this development with the city and private investors who envisioned the huge potential of such a destination point. We are involved and part of the development process. We have been consulting with and informing the involved parties at the city and others with vested interest. We have millions invested in the West Harbour area in land, work, engineering, architecture, legal, and OMB efforts to support the setting sails goals and visions. We have also initiated many studies, and our half a million dollar three dimensional vision of the setting sails plan and the Pan Am Games efforts, and finally the sport recreation and entertainment district along with the new stadium intended to bring Hamilton up to the destination level it deserves. We planned this in the beautiful setting nestled into our bay, exposed to water, water, water, the number one attraction for people in urban areas such as ours. We are a part of the ongoing process and as a present private participant deserve to be treated with the attention that our plans and intentions call for. We believed we were investing in the future of our community. We are integrated into the process of development and considerations re land development in the west harbor. Our land is integrated with the city’s land. We are locked in with the city at the OMB hearing in regard to setting sails programming. It is essential that we be integrated into the fuller process in order to assist the city with land development upon our own and the city’s land in the core development area at Stuart and Bay Streets. Our input and involvement is crucial to the successful transformation of the west harbor land base into an urban destination that all of us today and in the future can be proud of. 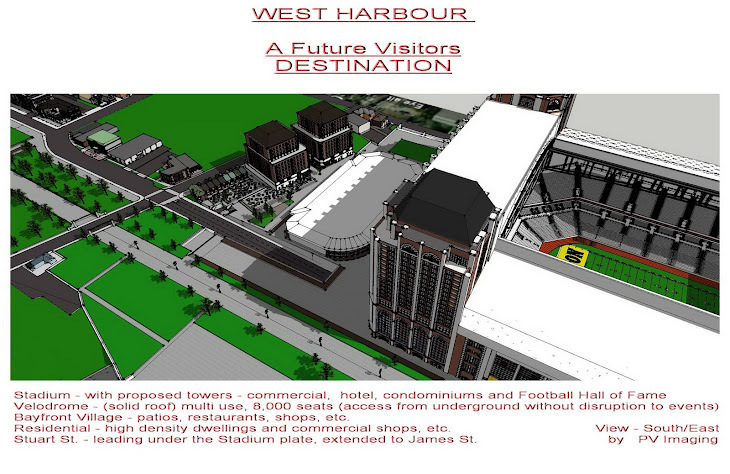 We are willing to work closely with all concerned parties to further develop plans for the west harbor area. At this late stage of the initiatives it is imperative that our 3 dimensional plans be adopted by the city as part of their process to achieve the mutually desired goal. Consider the benefits as set out in the original West Harbour Front Development Study, Final Report, 1995. (It is encouraging to consider that all figures are based on 1995 data and will be significantly increased in 2010 terms). While inspired by this original vision, we have in turn been encouraged by the Pan Am game developments and confused by the Tiger Cat dilemma. We see that our beloved Tiger Cats are in a weak financial position. With only ten home games, limited opportunity for associated football revenues, and concerns about lack of parking and visibility, their opposition to the West Harbour site is somewhat understandable from their perfective but confusing from an outside business perspective. The larger issues affecting the Pan Am Games decision, as reported by Micheal Fenn, involve the future of downtown development. 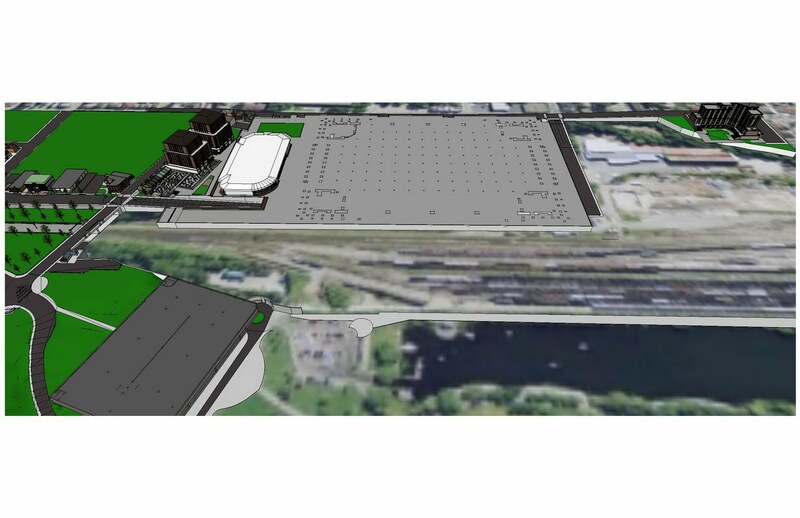 This development is in no way dependent on the tenancy of the tiger cats in the proposed stadium. Instead, developments in the Harbour follow upon the environmentally sensitive developments to date which have transformed our harbor into a people place. Visions of high rise hotels in a community sensitive entertainment complex designed as a destination hub have been proposed for years. Such plans are in keeping with waterfronts across North America such as Toronto, Oakville, Burlington, Vancouver, etc. The Pan Am Games are the critical mass which will trigger and helps facilitate these dreams into reality. For the last thirteen years our lands and business in the west harbor have been held in abeyance at the request of the City of Hamilton while lately awaiting OMB applications and decisions regarding development in the west harbor area. This has resulted in a staggering compounded costs and loss of income for our group. Believing in the visions set forth we have waited patiently and worked closely with city officials to accommodate their concerns and interests. This is no longer sustainable. The Pan Am Games have brought all issues of development, both pro and con, to the table in a timely fashion; indeed, time here is of the essence as regards Pan Am. However, we cannot in the interest of time be forced to make unwise decisions. As Mr. Michael Fenn pointedly indicates, the timelines for making final decisions to the proposed development are so extreme as to be almost impossible. Other than the city of Hamilton we are the largest landholder in the west harbor area, designated block for recent developments. We therefore have a deep-seeded interest in the future of the developments in this area. Our proposed plans call for up to 200 million dollars in new developments supported by private investment. Until now, our project and our voice have been heard by only few individuals. It is time we feel to bring the larger issues, and solutions to city officials, and a wider public. We envision a flexible, adjustable stadium, whose size and grandeur will be confined only by final budget considerations. 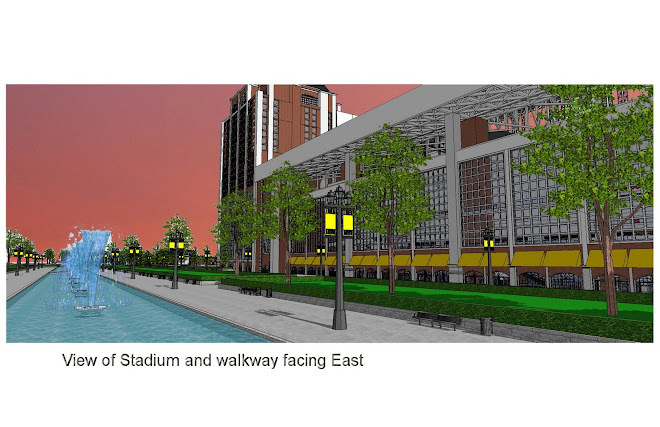 Our comprehensive proposal answers questions both the city and the Tiger Cats are asking. 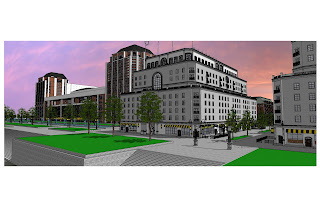 Our vision incorporates solutions to parking (2300+ underground parking spots), substantial revenue generation, state of the art, encapsulation methods which conform to the brown field rules and regulations, increased revenue generation from a number of sources, and an ideal marriage between private and public financing. We imagine our lands at the foot of Bay and Stuart to be transformed in the same way that Bay front Park and Pier lV has been transformed into a people place with access to water. The models, herein presented are the work of many years and many people. It is our desire to place this vision before council. We consider it our responsibility as landowners and Hamilton citizens who love this city of ours to present this viable, practical visionary option. We feel it is the responsibility of our elected leaders and other investors to hear our proposals. We believe as many do that time is of the essence, and the future of our great city, the waterfront and Bay St. / downtown corridor demand a fair hearing. Our solution is both inclusive and visionary. It answers the needs of the Tiger Cats, is able to adapt to outside investor interest –i.e. AEG Entertainment and local investors, and works within the Visionary landscape laid down in 1995, ratified in 2005 with the adoption of the secondary plan for the West Harbour. It proposes solutions to parking, transport, signage and methods of construction on the brown field site in question. Michael Fenn has said that plan b alternative mountain site is not intended to arrest the developments of the West Harbour site to date. It is neither a preferred solution nor a viable one for private investors interested in regenerating the downtown core and the waterfront. The Tiger Cats represent only ten assured home games each year. Such use of the stadium will make neither the team nor the stadium financially self sustainable. Without addition stadium-complex uses producing significant net revenues, a Hamilton stadium based on such use appears destined to face continue operating losses. Potential income is influenced by the range of stadium-complex revenue generating opportunities in which the team can share stadium “naming rights” commercial signage, promotional revenues, adjacent commercial retail hospitality-trade income, residential or institutional property development opportunities and lease-revenues associated with the site. In many venues, the major user is also responsible for operating the facility in such a way as to provide opportunity to maximize net revenues for both entities. It is not uncommon to see the team owners as co-investors. The size and design of the Hamilton stadium must accommodate a range of compatible uses to be an economic success. The facility therefore must be multi use and live have relevance long after the Pan Am games. Size must be at least 15000 seats and in this regard a feasibility study is suggested exploring a stadium design with an additional 10,000 seats. The consortium of interested parties would prefer a facility that seats 30,000 with a capacity to expand seating to 45,000. Current studies of the West Harbour are ongoing as regards technical requirements. All parties should have this information before making a final decision even though the city has already been convinced through its existing studies of the west harbor site. Parking issues to be resolved. Transport to and from the stadium is under discussion along with who gets revenue from parking. 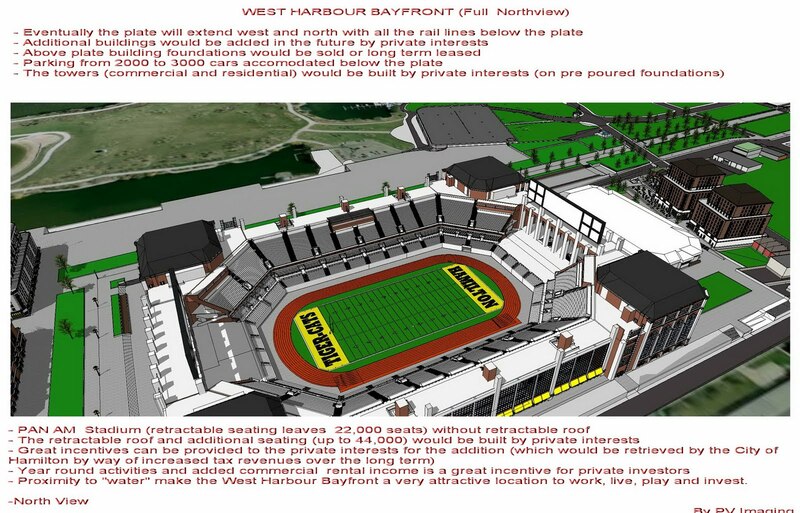 With inadequate transport and parking information, the tiger cats refuse to make a financial commitment to the West harbor Site. It is in the interest of both parties and the people of the region and the City of Hamilton to make every effort to prove/ disprove and seek solutions to the relevance of parking and transport and construction issues. 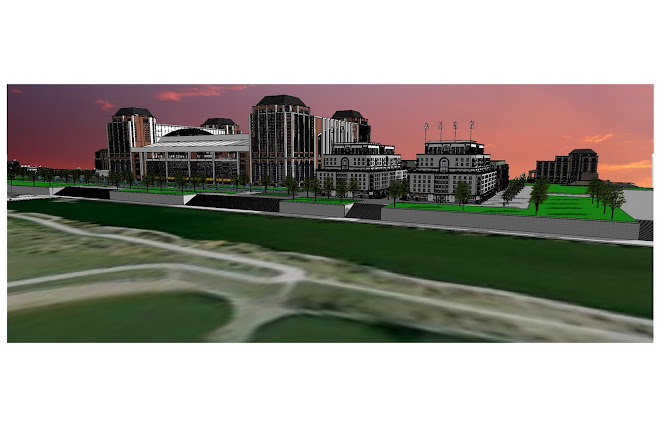 An alternative site was necessary in order to take advantage of the Pan Am Games Infrastructure and financing. As above, he facilitator warned that we are at risk of losing the potential investment if such answers are not provided in timely fashion. Neither party had a proposed identifiable alternative to the West Harbour site at the time of the July 8 Report of the Facilitator. Hamilton will advise Pan Am officials that it will participate in the Pan Am Games with a stadium facility that accommodates approx 25,000 people at one of two definite locations. Consult with Pan AM Games officials about the design of stadium facilities with a view to producing and outstanding legacy facility of football, soccer and concert events there should be an ability of the stadium to accommodate additional temporary seating up to 15,000 for special events. 2) That the Tiger Cat ownership explore prospect for third party operation of a stadium complex. 3) That the City continue with its program of land acquisition in the West Harbour precinct as the West Harbour property portfolio will be required for redevelopment purposes irrespective of the stadium decision. 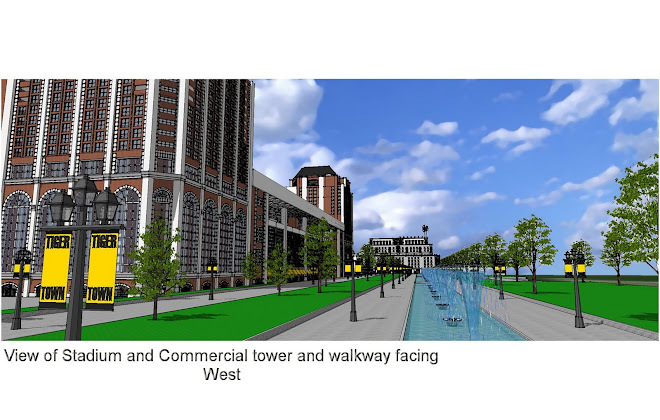 The Facilitators Report warns that there is not enough time to engage in any process which threatens the viability of the proposed west harbor developments. 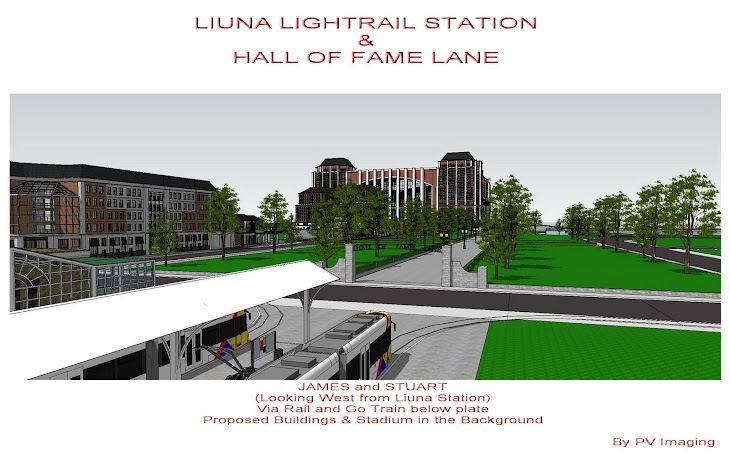 A legacy facility requires considerable effort and thought not yet evident in the City’s or the Tiger Cat’s proposed sites and business analysis. This work has not yet been done. The facilitator indicates that the second site was chosen in the interest of Pan Am reporting requirements and time restraints. Our vision is built on the twenty year cumulative visions of the City of Hamilton as proposed in its official plans. It is too late to initiate new studies of other sites. We have no option but to proceed with the West Harbor site given the timelines. 3. Tiger Cats are losing money. Ivor Wynne Stadium is subsidized by the City of Hamilton for 1.3 million per year. There is an uncertainty whether the change in venue will create the type of revenue that will erase their financial losses. Not being in the development and property management business and not being in the entertainment (international & national) business other than Canadian football, its option of creating other money making ventures are limited and most definitely uncertain. e) Complete the Bay St. corridor (Barton to Stuart Sts.) to compliment the Bay front developments. 5. Does the City of Hamilton turn a potential 180 + million dollar investment over to a private business in deep economical distress which is offering less than 10% input into the cost of construction and no return on the investment, which even at 5% would be approx. 8 million per annum, not withstanding what the offer to operate the facility of 3 million dollars would be paid by the Tiger Cats under the presumption that they will be successful. 6. The indications are that the activities in the new stadium itself will not be enough on their own to sustain the economic needs of the Tigers Cats and they will require other commercial facilities to sustain their enterprise. It is uncertain what these developments would be. 7. AEG and the Katz Group – The offer of this large multinational entertainment, sports and management group with a proven ability to handle the necessary activities required to create a profitable economical model that would benefit the City of Hamilton community. 9. Funding – considering that the money required to build the larger stadium (50 million) and the other insinuated associated buildings has not been found yet, the notion of planning this scenario is simply too premature and yet time is of the essence. 10. The Hydro Fund – may only be used in conjunction with the downtown developments. 11. Building on a Brownfield – the contamination of the West Harbour site can only be solved by big enough projects with enough money to absorb the major cost of reclamation. This will definitely require building with adequate height to accommodate residential and commercial enterprises which will pay for the cost. 12. K zoning industrial lands---in exchange for-- building height and size. Move forward with the plans to accommodate the Pan Am Games commitment and yet provide adequate time for the City leadership to implement decisions that would maximize potential success and provide a lasting legacy for the City of Hamilton community. Our proposed entertainment complex complete with underground parking for thousands of cars offers a solution to the dilemmas cited above. Realistically such a legacy building complex provides for up to 3 billion dollars worth of economic activity to the community plus the added jobs and economic windfall from the ensuing commercial activities. Our proposed stadium vision presents a no lose situation for the City since the flexibility of the proposed solution could be used for the realization of the Setting Sails development or the Stadium development or a combination of both. It is also one of the only viable solutions to building a financially feasible structure such as a stadium on contaminated marshy soils. Pylons that go down to the bed rock are necessary to hold such a structure. Height is necessary to pay for the cost of brown field industrial rail landscapes. In our suggested vision the Tiger Cats could choose to be part of a much larger financially viable package with other investors. Our proposal seeks to bring together potential investors into a revenue generating stream that will see 60 + venues per year, underground parking, retractable adjustable stadium for multi use purposes during and after the Pan Am games. And our proposal allows the City to redevelop the area in accord with their long range plans while sharing in the revenue streams from parking, taxation, etc. on proposed residential, entertainment café/corridors. As part of a much larger plan, the Tiger Cats would only have to worry about their 10 game presentations in the New Stadium, their liability position is dramatically reduced and if they should ever fail, that 10 game slot could be filled by different spectacles. 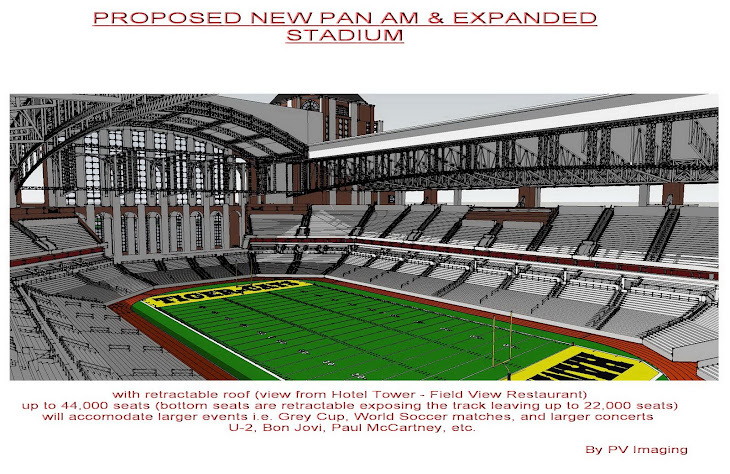 Plan to accommodate the stadium with the minimal 15,000 seating capacity for now to satisfy commitment, with the ability to expand to its full retractable multi-use commercial, residential, entertainment complex, once the private additional funds are secured by the varied parties (i.e. developers, hotels chains, food and beverage chains, commercial enterprises, corporate office tenants and stadium investors. The Venetian plate should begin immediately. It would be flexible enough to accommodate any combination of structures. Our 3 dimensional plans accommodate any additional visual changes. It is a tool to attract investors. With this presentation, corporate naming rights, bidding and such will be greatly enhanced if the full spectrum of uses is realized. 1. Set up a new management corporation for the handling of the various city entertainment venues; Copps Coliseum, Hamilton Place, the New Stadium, The New Velodrome, etc. 2. The corporation to be owned by: City of Hamilton, AEG & Katz Group and the Tiger Cats Group and perhaps others. The company is to be managed by AEG & Katz Group. 4. The City of Hamilton would roll over into the corporation its 110 million dollar base Stadium Structure and Velodrome into the corporation along with long term lease arrangements on the other facilities. 5. AEG & Katz (Rexall Sports Corp.) group would provide the capital of 250 million (approx.) 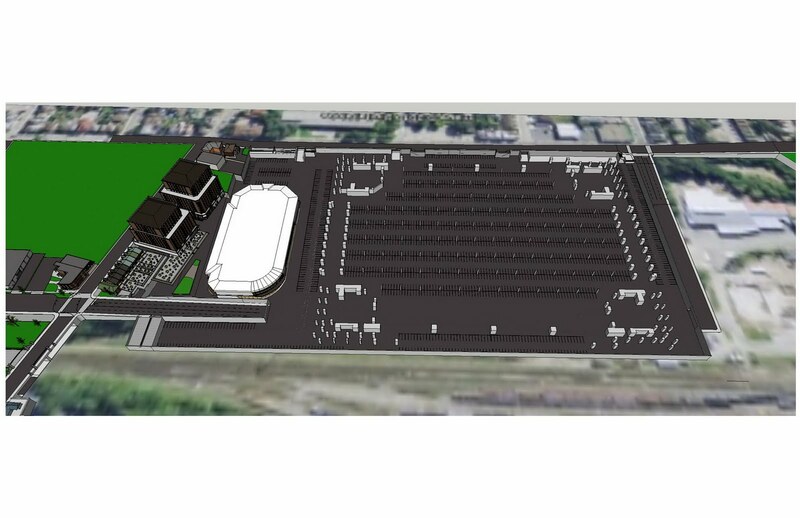 secured by the “New Stadium and expand the base Stadium into a retractable roof, all seasonal, multi- purpose facility to accommodate upward of 45,000 seating capacity. The group would continue to attract an NHL team to the Copps facility, an MLS major league soccer team, and access to some of the greatest entertainment on the planet. They would agree to provide the extra capital to improve Copps Coliseum if successful. Pay 1 million as offered if not. The AEG group is a sporting and music entertainment presenter. It is the world’s largest owner of sport teams and sports events, the owner of the world’s most profitable sports and entertainment venues and under AEG live the world’s second largest presenter of live music and entertainment events. The company owns the Los Angeles Galaxy, Houston Dynamo, the Los Angeles Kings, Ontario Reign, Manchester Monarch, Eibren Berlin, Los Angeles Sparks, etc. The company makes a significant amount of its money by leveraging its sports interest’s already significant earners, by using the stadia in which these teams play to host various other entertainment events and most notably concerts. Katz /The Rexall Sports Corp. owns the Oilers, the WHL Edmonton Oil Kings, and the minor; league Edmonton Capitals baseball team. The corporation owns the naming rights to Edmonton’s Rexall Centre and is currently in tense talks with the City of Edmonton to build a new arena and entertainment district in the city’s downtown core (1.5 Billion dollar budget). Pan-Am games and an NHL hockey team for Copps Coliseum. 7. The new consortium would use the Pan-Am games as a great marketing tool to promote future destination environment. 8. Hamilton could become the premiere Golden Horseshoe entertainment destination. Unfortunately for the West harbor and surrounding areas, we have inherited a century of industrial misuse leaving the land unfit without committing to major and hugely expensive decontamination processes in a watery marshy environment. It has plagued cities like our across the world. Toronto and other communities have overcome this problem by developing techniques to build new developments sensitive to current occupants in the surrounding areas. In order to pay for the reclamation of this brown field area, we have no option but to provide large scale developments, including high rise developments at the site in order to finance the cost of redevelopment. We must sacrifice and give height in lieu of contaminated industrial land. Our proposed developments provide such an option. By incorporating pylons that are built down into the bedrock, the proposed site will be able to accommodate structures above and parking below and leave the present streets intact, which saves millions of dollars. Indeed the parking would become a major source of revenue (i.e., 2300 hundred cars x $20 is 46, 000 dollars per event). A flexible expandable, multi-functional support system to accommodate any variable future development model – whether it’s Setting Sails, or Stadium & Velodrome or a combination of all and more. Underneath the Plate – existing road, parking, railway lines, new road etc…. The plate begins with the construction of the area from Queen St. to Tiffany and from south side of Barton St. to the north side of Stuart St. 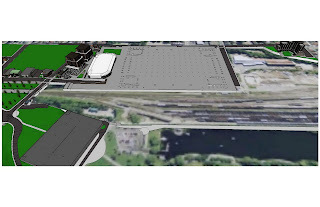 The “Plate” would have all of the necessary service infrastructure which will tap into the existing services running along Barton St.
Economically…… The space on the “Plate” and the air space above (limited only by the height restrictions imposed by the City of Hamilton) becomes a great income bearing asset not with-standing the additional property tax revenues. From a developers point of view it’s a dream come true. Building structures on an existing foundation. The flexibility of using the “Venetian Plate” is that it could be expanded to adjoining property owners to develop above their lands and accommodate later developments. Provides for small or large scaled developments over time. The Velodrome – the same principle applies…The cost saving on the foundation could provide adequate financing for a more durable and permanent roof. “The Lego” building form can be easily assembled for the games and moved or changed to accommodate any new plans. Permanent bowl holds approximately 22,000. 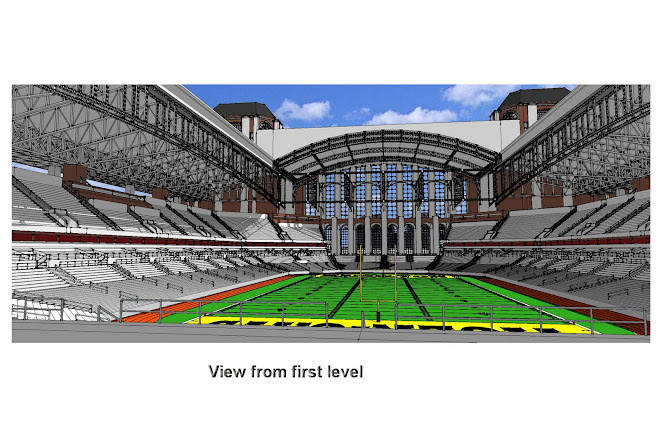 Retractable seating extends over the track to add 8000 premium lower bowl seats bringing the fans closer to the field. In front of the luxury boxes are 3000 club seats. Each end zone plaza has room to add 5000 seats anchored to the pedestrian bridges. 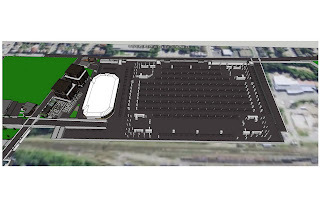 Above the ring of honour is room for more temporary seating bringing the capacity for special events to approximately 45 - 50,000. Approximately 2300 spaces directly below the stadium. Access from Stuart, Barton, and Queen Street. 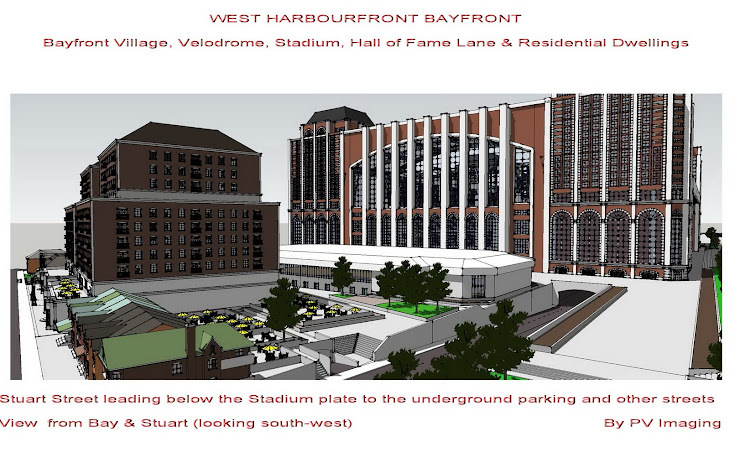 Bay front Ground level parking to be turned into 3 level parking structure. Additional parking will be available if the whole area is developed/ up to 6,000 parking spaces. Consists of 4 arch truss frames covered in synthetic fabric or solid panels. 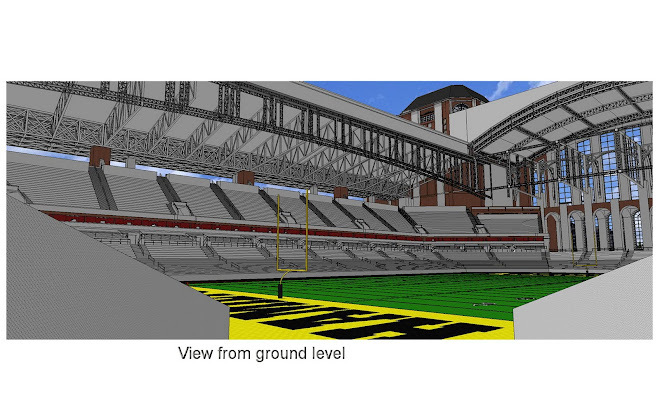 Each section moves along a rail system which runs along bowstring trusses on the north and south sides of the stadium. The bowstring trusses are supported by concrete super columns that rise along the side of each of the four towers. The permanent roof structures which span the easterly and westerly towers also act as a pedestrian bridge linking the upper floors of the towers. Please note that all our 3d designs are built to scale and can be used by architects and engineers for drawings and pricing for the proposed venues. This is a major cost and time saving factor, two areas identified by the Facilitator’s Report.